Competing groups will test their lab skills and teamwork, racing to complete science-related games such as ring toss with science equipment, relay-race while wearing protective equipment and organizing boxes of lab supplies the fastest. All proceeds from a $20 entry fee and raffle will go to a local charity chosen by the winning team. 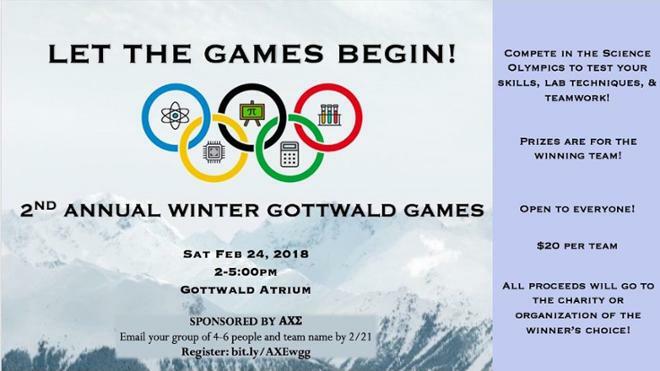 The games will be held Saturday, Feb. 24, from 2-5 p.m. in the Atrium of the Gottwald Science Center.